Stable river islands locally known as ‘chars’ are increasing in the Brahmaputra river. These chars are mainly eroded from the upper catchment of the river and deposited in lower Assam. The overall extent of the Brahmaputra river is also increasing at the cost of erosion of land surface along the river banks. The rate of char formation is greater than the rate at which the Brahmaputra river extent is increasing. These chars occupied approximately 33% of the overall area of the river for the 2017-2018 post monsoon season in Assam. These results are river boundary dependent. 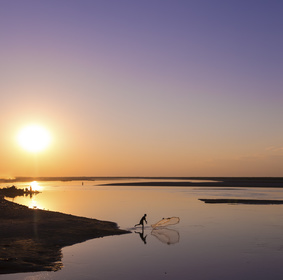 These findings will help decision makers to better understand the problems of Brahmaputra river bank migration and help understand how to utilize the river islands for societal applications. These islands can effectively be used for planting seasonal agriculture and horticultural crops. 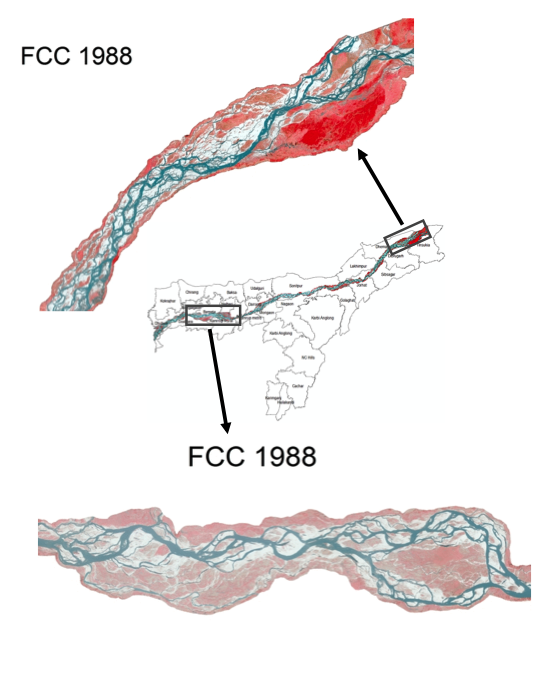 The historic archive of data provided by the Landsat program proved to be very beneficial in analyzing long term changes in the river course. The Landsat data helped in identifying the long-term stability pattern of these islands. It also helped in mapping the regions where erosion and deposition have taken place. Does your study identify what the greatest contributor to island stability is? To new island formation? It is difficult to identify the major contributor of islands stability/new island formation with only remote sensing data analysis. Analyzing the changes in river course using time series data supported by the topography, river water, and sediment flow rate will contribute to a better understanding of the major causes for island stability and formations. Note: This work was done when Mohammad Abdul Qadir & Meghavi Prashnani were previously working at the North Eastern Space Application Center in India.